This is a Sponsored post about Buffalo Chicken Pizza Cups Recipe written by me on behalf of Texas Pete. All opinions are 100% mine. My family loves anything Buffalo Chicken flavored. Thanks to my husband growing up in Buffalo, NY he has brought these flavors into our home. While he is the Wing maker, I try to replicate the flavors in different dishes. 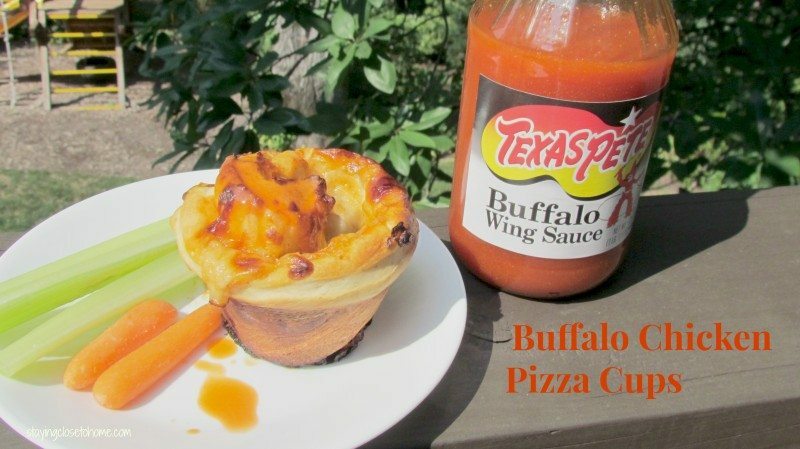 My kids love Pizza so I thought I would try mixing Buffalo Chicken Wings and pizza in this Buffalo Chicken Pizza Cup Recipe using one of our favorite, Texas Pete Hot Sauce. 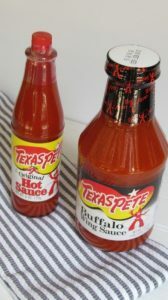 Texas Pete Hot Sauce is a great condiment, perfect for adding spice and flavor to hot dogs, fries, pizza, soups and sandwiches but also works well as an ingredient in a variety of dishes from ribs to barbecue to red velvet cake icing? We love it in our Man Dip we make for every super bowl party. Check out other great Texas Pete Hot Sauce recipes. 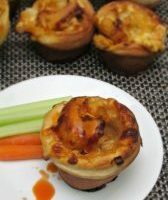 These Buffalo Chicken Pizza Cups are very simple especially if you start with a frozen bread or store-bought pizza dough. Plus they would be great for a buffet or appetizer tray. 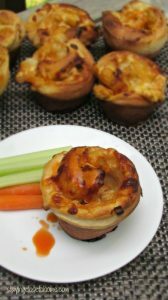 You can use smaller muffin tins too for mini pizza cups. Like many good recipes, it starts with some sautéed onions. Add some cubed chicken. (I wonder if you could take a super short cut and use canned chicken like the dip? Maybe just cooked frozen chicken. 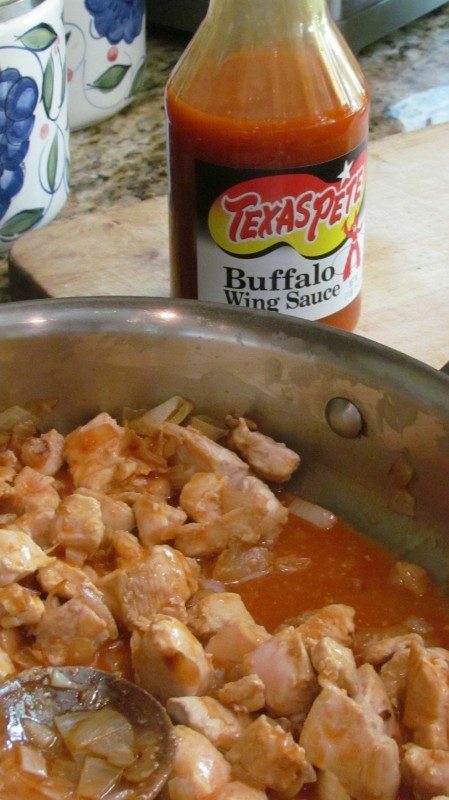 Add your Texas Pete Wing sauce and allow to heat up. 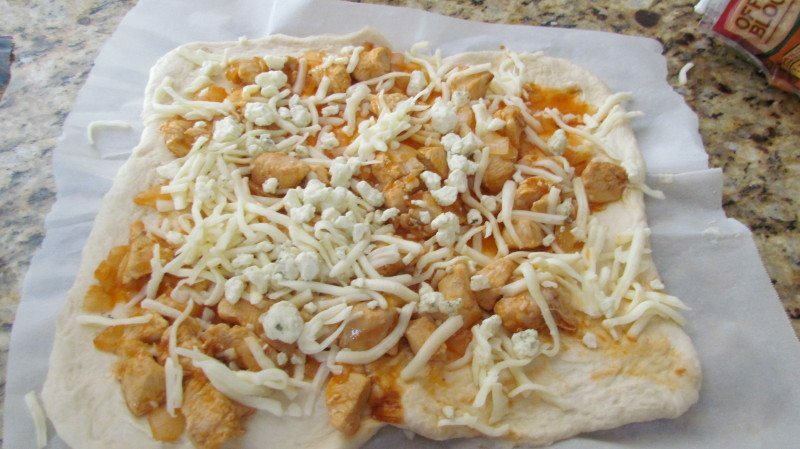 Spread the chicken mixture and cheeses evenly over the dough. The hardest part for me, I still have not perfected a good cinnamon roll, is to do just that. Roll it like a cinnamon roll and then slice into 1 1/2 to 2 inch rolls and place into the cupcake tins. Bake and allow to cool before serving. Of course you can serve some extra Texas Pete hot sauce or wing sauce on the side, with blue cheese or ranch dressing and carrots and celery. I may have cooked mine a little too long since I was not good about making even slices, I will do better next time. You can find Texas Pete Hot Sauce at most retailers. 1. Saute chopped onions in butter over medium heat. 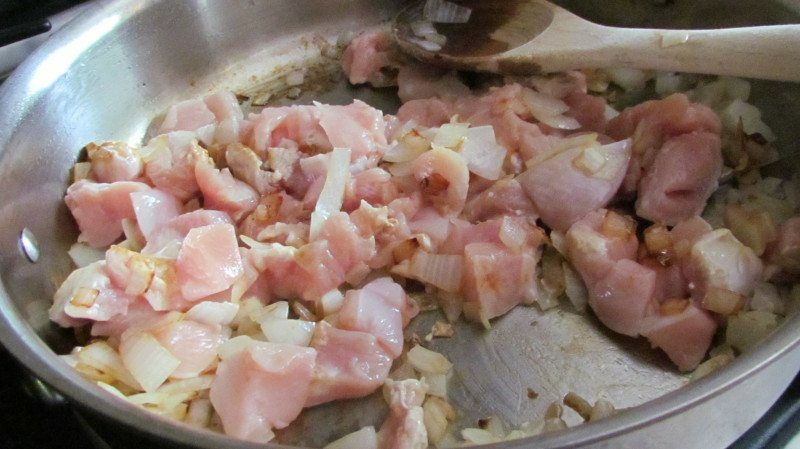 Once transparent, add chopped chicken. When chicken is done, add Buffalo Sauce and heat for 5 minutes. Remove from heat and set aside. 3. Divide dough in half. Roll each half into a large rectangle roughly 1/4 inch in thickness. 4. 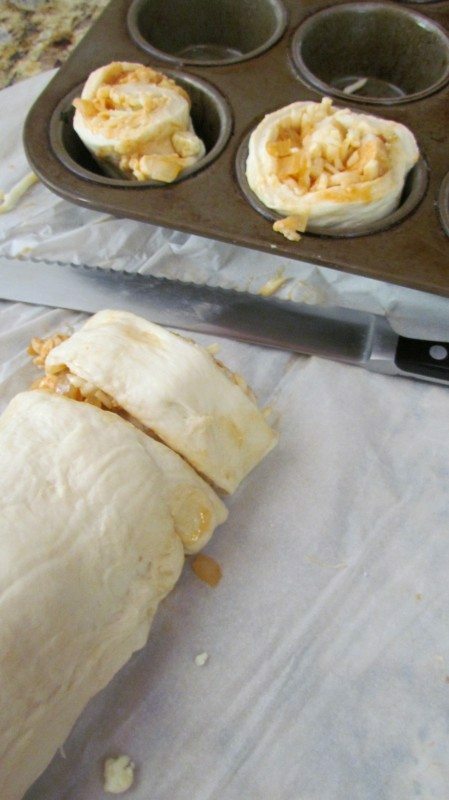 Spread chicken and cheeses evenly across each piece of rolled out dough. Starting from long side of dough, begin rolling the dough up like a cinnamon roll. Pinch ends when done. 5. Slice into 1 1/2 to 2 inch rolls. 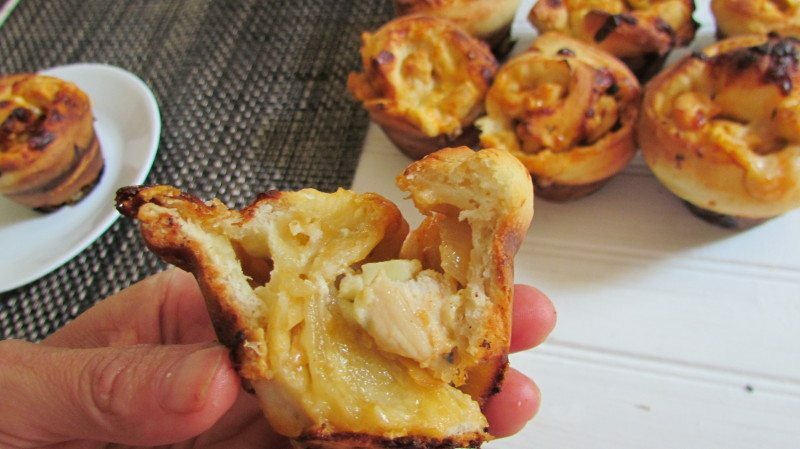 Place in muffin tins. Bake for 15-18 minutes, or until cheese is bubbling and dough is lightly browned. Watch them as the cheese can burn quickly. Frozen Bread Dough works well too. Does your family love a little spice in their meals? How do you like to use Hot sauces? Help earn $$ for Feeding America. For for every social share, Texas Pete will donate $1 to Feeding America! I like the creativity of this recipe!